Giving a gift to your boyfriend can often be a sticky situation. You may be tempted to give a more sentimental gift than the seriousness of your relationship justifies. Or, on the other hand, you may be trying to come up with a gift for a guy that you're not yet that serious about. You don't want to over- or under-sell the relationship by giving the wrong gift. If there's any doubt in your mind that the two of you are on the same page, we suggest steering clear of the more personal gifts and head for the things you know he'll like. Gift giving becomes a lot more more complicated if you overthink it. Chances are you won't need to spend much time thinking of a gift that will please him. There may be something he's expressed interest in while you've been out on the town together or shown envy towards at a friend's house. If he likes camping, you can pay for the lot at his favorite campground. If he's run a marathon, consider a fun gift such as a 26.2 sticker to show him how proud you are. If you want to make sure the gift is something that touches him, go for a heartfelt card or a handwritten note that ensures he knows how special you think he is. You may also want to consider letting his importance be reflected in the size of the gift. You certainly wouldn't spend a week's paycheck on him if he didn't mean a lot to you! Feeling stuck? Check out our top five gift ideas for boyfriends below. If you're still coming up with a blank on what to get the man in your life, we've found some inspiration for you. 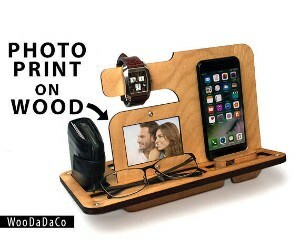 Below you'll find five cool products that make a great gift for a boyfriend. Feel free to swipe them up, or use them as inspiration to come up with a unique gift idea all your own. Whether your guy is clean- shaven or sports a carefully-groomed beard, proper grooming is always easier with the right tools. 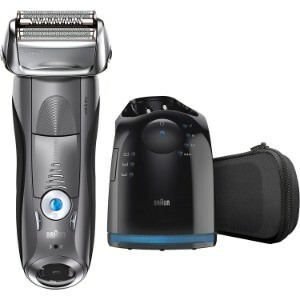 This razor comes with a side trimmer to help his beard upkeep, and while that's a wonderful feature, the real seller here is the incredibly close shave it offers. Not only will it shave a three-day beard completely with no other steps, but it will also leave his skin smooth and soft with no irritation. He can use this with either wet or dry skin and still trust it to produce a clean shave. With almost 10,000 reviews on Amazon, this is definitely a tool that has the numbers to back it up. It comes with a carrying case, recharging unit, and cleaning brush. The battery, once fully charged, will operate for 50 full minutes before needing a recharge, and that will surely see him through any and all grooming tasks. This is an ideal gift for the boyfriend with a concern for organization – or for the boyfriend who keeps losing his keys! This charging station functions as a command station, providing a spot for all his essentials. No more frantic searches for his things and no more clutter on the counter. There's a spot for everything in his pockets: keys, wallet, phone, watch, change, and a pen. And putting a nice picture of the two of you is a wonderful personal touch to make a functional gift a bit more sentimental. The premium plywood design has been double oiled for extra durability and assembly is as simple as sliding two slabs of wood together. The phone dock is compatible with most smartphones, and strategically placed slots allow you to plug in with ease every time. Keep in mind that since no two pieces of wood are exactly the same, you will have a variety of different wood shade possibilities; reviewers claim it's often a natural wood appearance, but that may not always be the case. This gift is perfect for virtually any kind of pain and inflammation. If your man has soreness after a vigorous workout or he has an old football injury that bothers him, hooking him up to these gentle electronic pulses can ease, if only temporarily, his pain. You may be the one he usually goes to for a massage, but chances are, your hands get tired long before he's had enough. This gift is a good option for giving him a deeper, longer-lasting massage than you can provide. So, really, this gift is a win for him and a win for you. 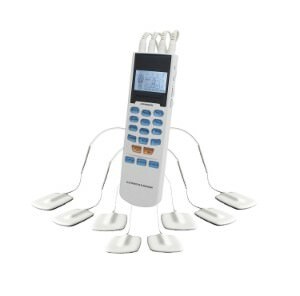 It includes everything you need to get started: a control unit, four sets of dual leads wires, four pair of inserted pin electrode pads (with eight pads), pads holder, three AAA batteries, an application placement chart, and user manual. With 15 modes, including nine automatic modes, there are lots of options for just the right touch. If your guy is a baseball fanatic, this might just be the perfect gift for him. And if his place is like the typical bachelor pad, it's likely that his home lacks those personal touches like a welcome mat. 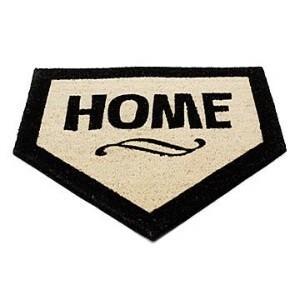 So, why not incorporate his love of baseball into a gift while simultaneously (and perhaps subtly) helping him make his house or apartment more like a home. The mat measures 24" x 24" and has vinyl backing on the coconut tuft construction, making it weather-resistant for indoor or outdoor use. It brushes or hoses off clean with absolute ease. If you're dating a runner who also enjoys the occasional refreshing beverage, this is the perfect gift. It's a good way to motivate him, plus it offers the ability to subtle brag to his guy friends every time he enjoys a beer. 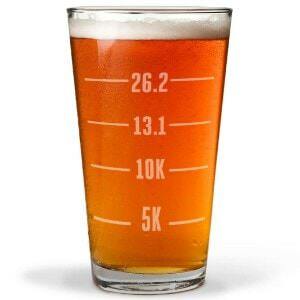 And in this case, he's earned the right to enjoy the full pint; he's run a marathon, after all. Even if he's just training for a run, this is a great gift to show him how much confidence you have in him. The glass holds 20 ounces (if he's earned it, or not), and the inscription is laser-engraved on premium glass. Whether your guy is a sports fanatic or a beer aficionado (or both! ), these gifts are sure to please many a boyfriend. If none of the gift ideas above fit the bill, tap into his interests and personality to come up with the perfect gift and show him just how special he is to you.